Houston – Polston Applied Technologies has selected CraneWorks as their lifting system and tube support provider for their new model in an extensive line of Combination3 Trucks the PAT 1249. This latest model entered service in March of 2015, after its exceptionally warm inauguration at the 2015 Water & Wastewater Equipment, Treatment & Transport Show in Indianapolis, Indiana.  The CraneWorks system includes a Palfinger PK22002EH Crane with radio remote controls. The PAT 1249 Combination3 combines three components; vacuum, jetter, and a downhole system into one machine that is specifically designed to remove debris from structures in the wastewater collection and treatment systems. The downhole system allows the PAT 1249 to remove sand and grit from deep or submerged environments and remove high viscosity fluids. A CraneWorks provided 49 foot knuckle boom crane with telescoping tubes for hard-to-reach places. A 500-horsepower engine that provides fully autonomous power to the Combination3 components. A fully automated, multi-directional reel capable of holding up to 1,000 feet of jetter hose. The Downhole system enables removal of debris from deep or submerged conditions or the removal of high viscosity fluids. A mounted vacuum system for use as required. A Jetter nozzle which produces 180 gallons per minute at 2,000 psi. A 12yard debris tank which is highly pressurized for debris and water separation. ”Pat Polston selected the Palfinger for our Combination3 equipment because he believes it provides the dexterity and strength required to get the job one,” explains Polston Applied Technologies CEO Denver J. Stutler, Jr.
Polston chose the CraneWorks provided Palfinger PK 22002EH with 49 feet of hydraulic reach because of its combination of its reach, light weight, and reliability. These capabilities combined with the expertise of CraneWorks engineering and product support make this the ideal lifting and support solution for Polston’s model PAT 949 and PAT 360HD Combination trucks. One of the most profound advantages of the PAT 1249 capabilities in the market is the entire service call can be performed while the plant remains in full operation – a capability that was previously missing in the marketplace. This capability revolutionizes how tough cleaning jobs can be done. From the operator’s perspective, Polston Applied Technologies Combination3 equipment is operated remotely, saving time and improving operators’ ability to oversee work. The PAT 1249 also reduces and often eliminates the requirement of confined spaces. Another benefit of the proprietary Polston Process® is that removed material such as sand and grit becomes “paint-filter dry” and ready for immediate disposal without additional handling.